Back to school time means needing to have a lot of grab-and-go snacks around in addition to needing a lot of snacks for the lunch box. My little one started first grade last week and since her lunch is so early, she is coming home so hungry! I'm sure some of that has to do with the fact that she's too excited and distracted at lunch to eat. I see how long it takes her to eat dinner most nights - I can only imagine the level of craziness, noise and distraction in a cafeteria with 100 other 6 year olds. I try to pack lunches and snacks that are healthy and filling, low in sugar, and easy to eat. 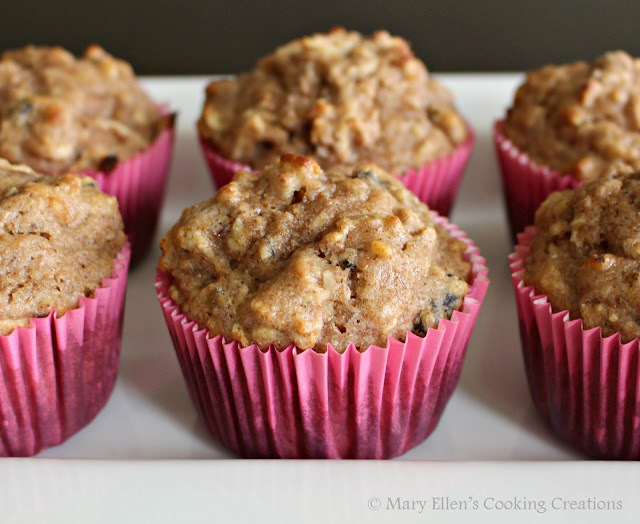 Muffins make the perfect snack for all of those reasons. 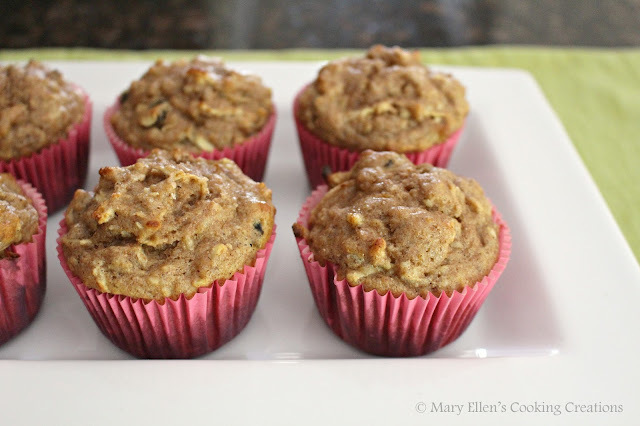 These muffins were inspired by carrot muffins that I made several months ago. 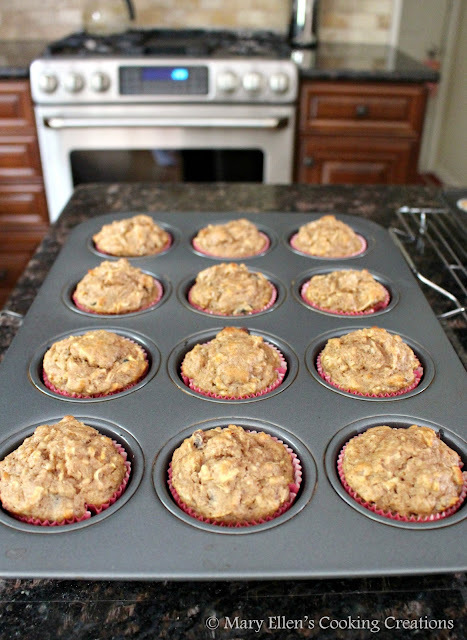 They start with whole wheat flour and don't use any sugar - pure maple syrup provides some sweetness. 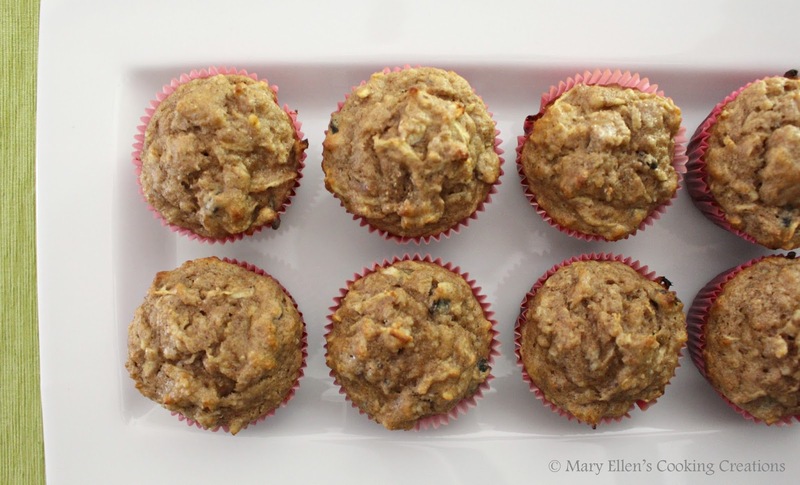 Since apple season is starting, I was inspired to create a fall muffin with grated apples. Walnuts and raisins provide some other textures and flavors. These are very simple, straight forward muffins to make (this is coming from someone who doesn't enjoy baking all that much so you know they have to be easy!). I was able to make 12 full sized-muffins and 8 mini-muffins with the ingredients below. I had one of these this morning at work and it held me over for a long time. 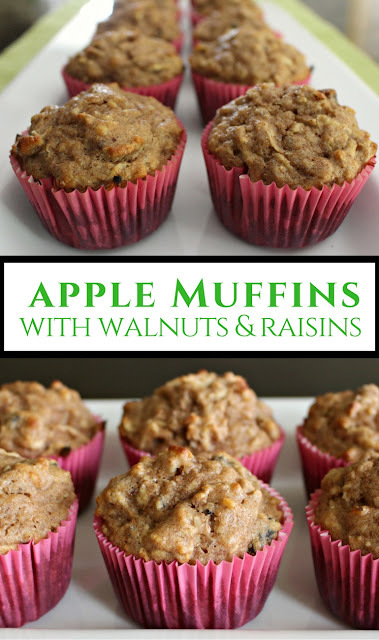 I think I will be making these several times this fall - the perfect mid morning snack, lunch snack, or afternoon pick me up! In a large bowl, combine the flour, baking powder, baking soda, salt, cinnamon, and cardamom. Add the grated apples, chopped walnuts and floured raisins and stir to combine. 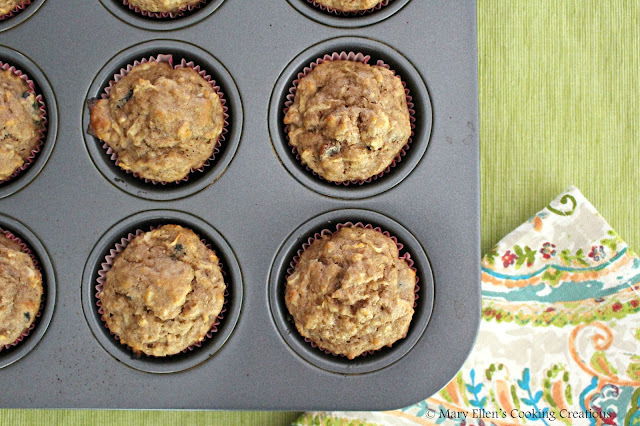 Place the muffin tins on a cooling rack to cool. Once completely cooled, store covered for 2 days or in the fridge for up to 4 days.